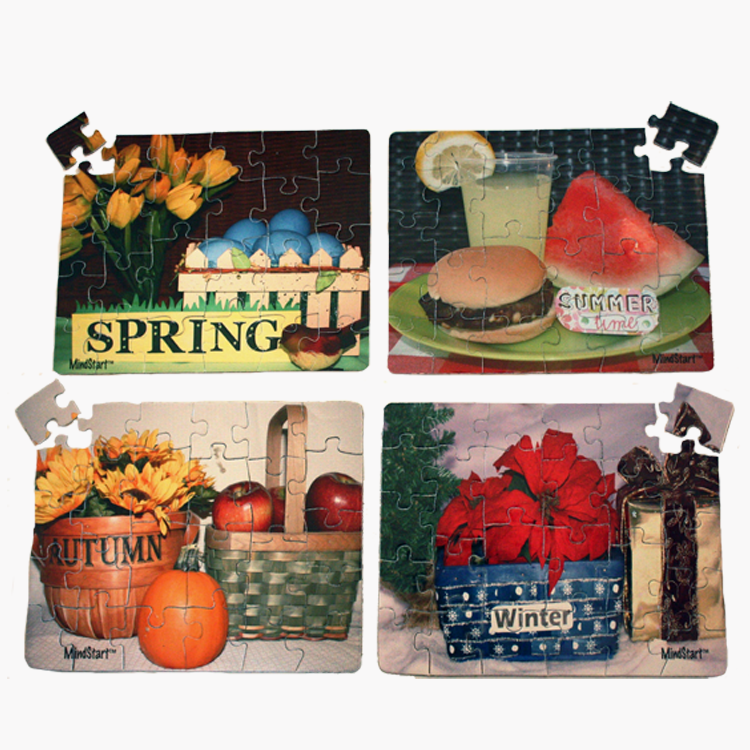 The Seasons Puzzle 4-Pack contains the Spring, Summer, Autumn, and Winter 24-piece puzzles at a discounted price! 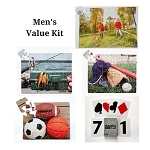 These puzzles feature age appropriate images for adults and large pieces which are easy to handle. 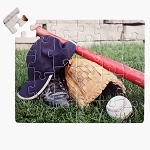 Puzzles are 8.25" X 11" when completed and are made of a thick, durables chipboard. Consider for MindStart high activity level. Traditional jigsaw puzzles have too many pieces and images that are too detailed. MindStart puzzle products have a unique design to make them successful for people with dementia. 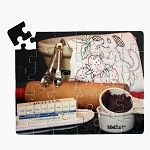 The image is specially designed to have separate areas of color, helping the person know how the pieces will come together and making the puzzle easier to set. 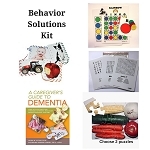 "Large piece puzzle products help people with dementia"
Therapist Tip: Setting puzzles stimulates the brain by using the skills of visual matching and orientation, problem solving, and coordination of the fingers. 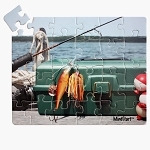 The image on the puzzle can also trigger conversations and memories. MindStart puzzles can be a form of therapy for patients with Alzheimer's, Parkinson's, stroke, head injury, and elderly who are very weak. The puzzle design also works well for seniors with poor eyesight. 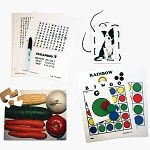 The Seasons set of puzzles can stimulate conversation about favorite activities in each season and changes in nature and weather in the different seasons. I purchased the Seasons Puzzle 4-Pack for my Family Reunion Puzzle Race. It was a great success. We played in teams of 2 to 3 people per puzzle. The 24 pieces and vibrant colors made it easy enough for a short time race. I highly recommend this set.